I have been posting sneak peeks on social media as I’ve been working on them, and you are all going crazy for them – and I can’t blame you, they’re super awesome! And the best part is how easy they are to customize – these are going to be a huge hit. They are part of the Marquee Love line from Heidi Swap and you can find it at Michael’s Stores – mine had a super awesome endcap display. 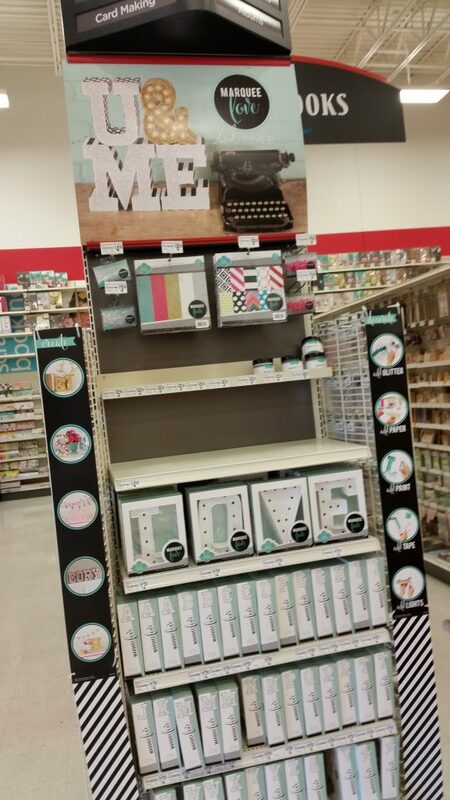 I love all the ideas on the display – glitter?! I want to do that to my next set (yes, I already have another set in the works….). Or there’s paper or paint or washi tape or whatever you can think of – possibilities are endless. With this set I used paper – a combo of the set made for the letters and another paper pack I found at Michaels. 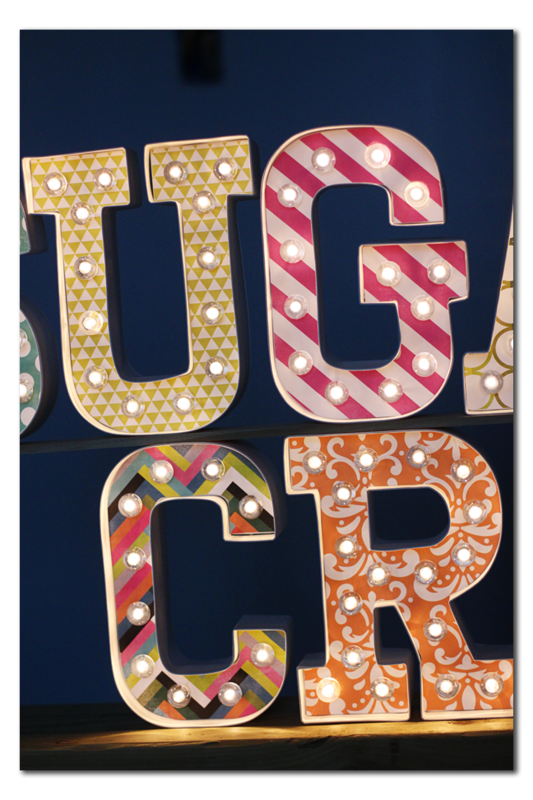 I love how fun and colorful it makes the marquee letters. And these are WAY easy to put together – it’s like a kit. Each letter comes with a template, and you use that template to trace around on your paper. Trace the little holes for the lights too (you can use a hole punch to cut those out) and then cut around the edge of your letter. 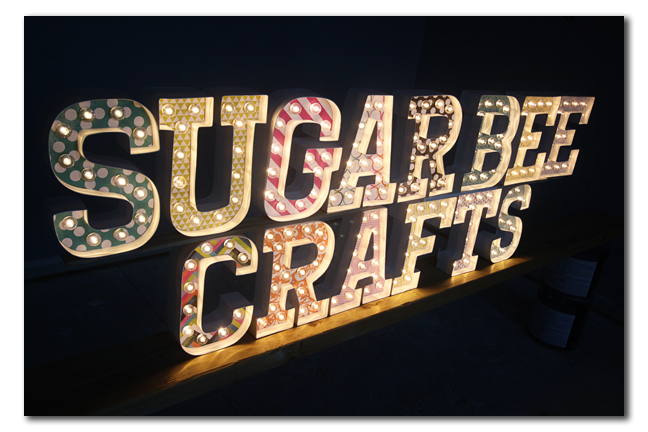 Then you pop the light globes in on the front of your letter – they kind of snap into place. Then you just insert the light string in the back, and voila! 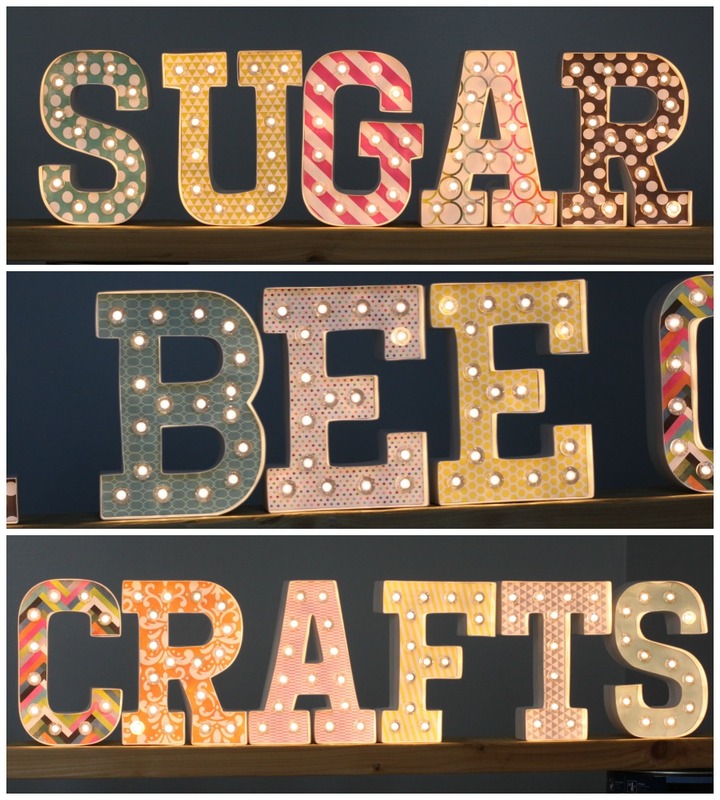 These are battery operated – each letter takes 2 aaa batteries – which is genius because that way you can set them on a shelf, hang them on a wall, etc, and not have to worry at all about having them next to an outlet to plug them in. 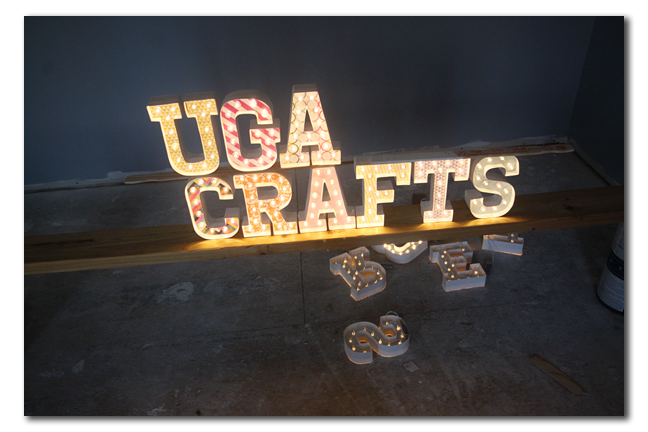 I laid all my letters out on the floor – – I cut my templates and then set aside the bulbs and lights…. 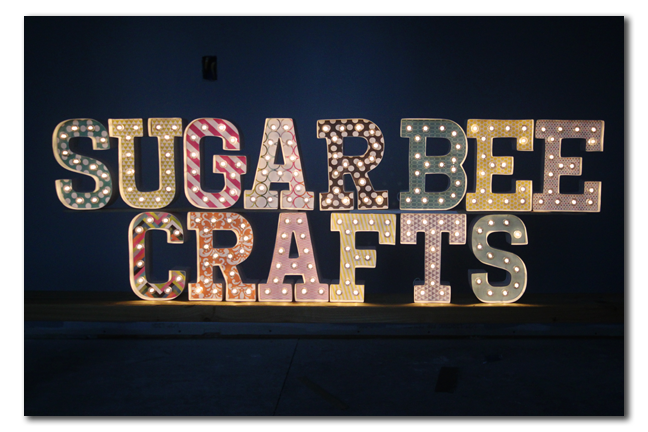 and then I got to thinking I had made a big mess because each letter has a specific number of lights and I had just mixed them all up…. 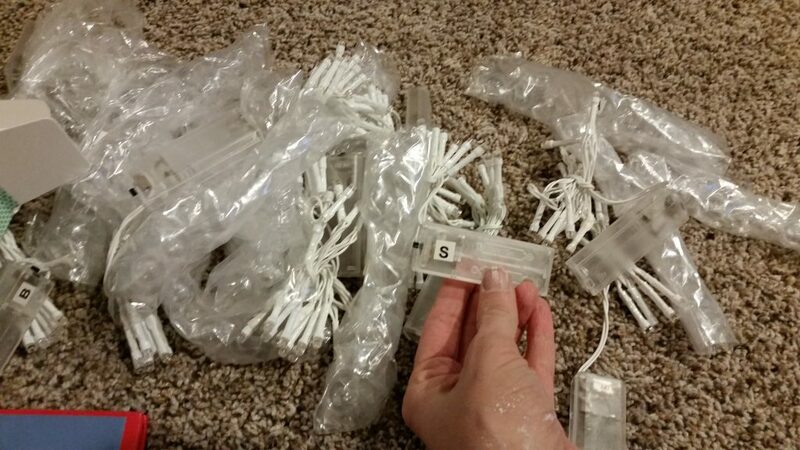 But no worries – it turns out each light and bulb set was labeled with the letter to which it coordinates – phew! But totally worth it! 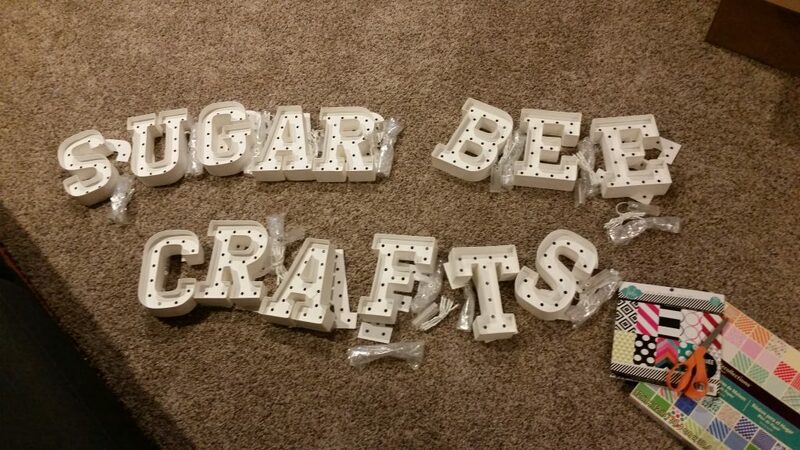 And so are these Marquee Letters. 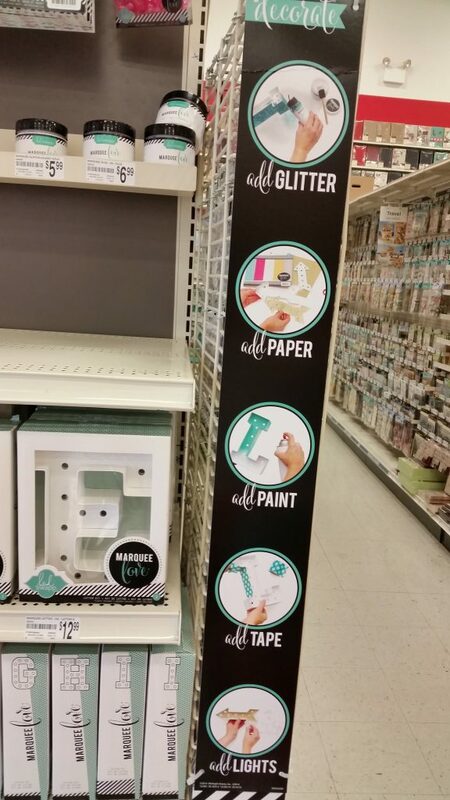 Be sure to head over to Michaels Stores and grab some for yourself! Disney Holiday Gift Idea – vacation giveaway! I saw these at Michaels and I almost bought them. Im slapping myself now because I had no idea they would be this cute!! super cute…but 15 bucks a letter is way out of my price range. Michael’s usually has 40% off coupons, so this would be a great item to use that on! Angela recently posted…Football Party Food! Emily recently posted…Sewing Mega Giveaway!! Oh my gosh, Mandy, these are SO neat!! 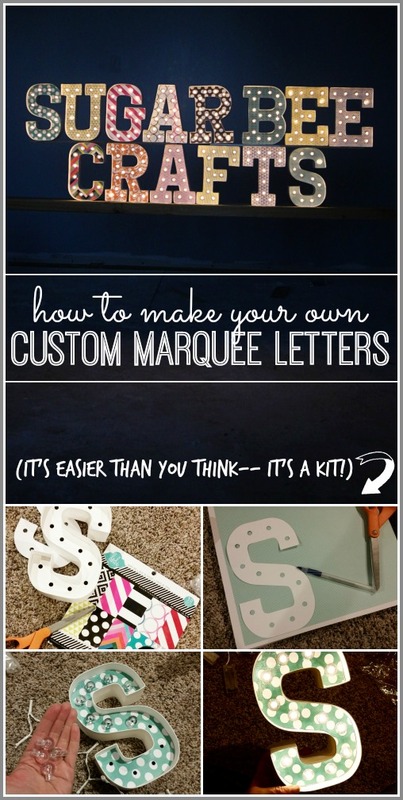 Your marquee letters look amazing. What a neat addition they’ll be to your space!! thanks! I’m excited about them!